April-October, the tour operates Monday-Tuesday-Saturday & selected Thursdays. APRIL – OCTOBER everybody else pays 48.00 € extra. – The services of the professional tour guide. – If you pay the 4 star price, the arrival airport transfer is included. – No hidden costs or surcharges. We offer you the best price in the market. The decision is yours. We can assure you that you ‘ll have a great tour. * Combine it with the 1 day cruise and pay a special price for the package. See our combo prices in the footer. The priests of the sanctuary of god Asclepius were excellent surgeons. On the ground of the sanctuary, the administration of the Asclipieion, in order to entertain the patients, decided to build a theatre. Today, next to the sanctuary of Asclepius, there is a small museum, displaying the instruments and tools used by the priests, excellent surgeons, to perform even brain operations. NAFPLION – “The town of the Venetians” in Greece. (Short photo stop). Modern architecture hasn’t spoiled the old town of Nafplion, which is a feast for the eye. The town was in the hands of the Venetians for 200 years and when they gave it back to the Greeks they also left their signature on the old charming town. Nafplion was the capital of the Greek state in the early 1830s. Here, is the first residential palace for the young Bavarian Prince, Otto, the first king of the new country after the revolution against the Turks. The old town is beautiful, with old mansions and paved roads. The town’s fortresses, the Palamidi and the Akronafplia, played a key role during the war of independence. The Venetian influence is everywhere justifying the town’s name as the “Greek Venice”. Mycenae, the city that controlled both the land and sea routes, was the kingdom of mythic Agamemnon. Myths related to history have inspired poets and writers over the centuries from Homer and the Greek tragedies of the classical period to contemporary literary and artistic creations. The site was uncovered in 1874 by Heinrich Schlieman, who also excavated the site of Troy. You enter the citadel through the impressive Lions’ Gate. The site of Olympia, was the location of the ancient Olympic Games, with the first recorded win in 776 BC. 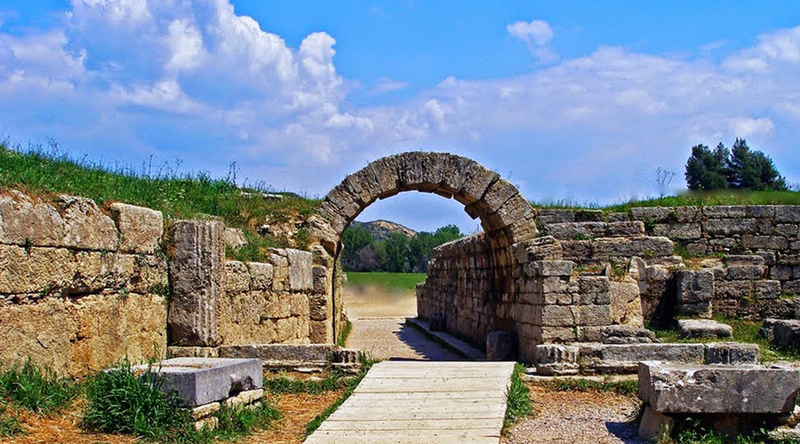 In addition to the numerous temples and sanctuaries, there are remains of sporting structures, such as the ancient Olympic stadium, the Gymnasium, the Palaestra and others. See the Temple of Zeus, the Temple of Hera, the altar of the Olympic flame, the seven echo stoa and the archaeological Museum where between the other exhibits you will see the statue of Nike and the beautiful Hermes of Praxiteles. DELPHI – The famous “temple bank”. The pan-Hellenic sanctuary of Delphi, location on the oracle of Apollo, was the spiritual centre of the Greek world. Situated in a spectacular natural setting on the mountain of Parnassus, it was the symbol of Greek cultural unity from the 8th century BC onwards. From Trip advisor comments on Astoria Travel Athens. I don’t know if people know about this gem of a service, but I would HIGHLY recommend using it for booking tours in all of Greece. Kosta is extremely serviceable and offers a GREAT deal on the tour. I booked a 3 day classical greece tour with Kosta and he was able to arrange it for a price that was cheaper than what the tour agency actually offered. He always responded promptly to emails and got back to me within 24 hours. Everything was arranged as it would be expected. Would recommend using this company for any needs before other people find out how great of a gem this is. Re: Astoria Travel Meteora trip Reviews. Hi SomeGirl111. All the bus tours in Greece are organized by three Tour operators. The travel agents do not organize, they sell these guided tours at discounted rates. So, whoever you decide to buy your tour from, you will end up sitting in one of the T.O. buses. All three T.Os. use modern, air conditioned buses., and knowledgeable professional tour guides. You travel in the same bus with visitors that paid the full brochure price. Astoria Travel was established 1958 and is still operating and prospering. So, your question should be: is the price that they sell the tours organized by G.O.Tours, CHAT or KEY Tours, good? What differs between the travel agents, is how fast they reply to you, and the way they answer to your request. Being in the travel trade for such a long time, I am sure that they know the way to satisfy their clients.